DAYTONA BEACH, Fla. – Exactly one month from today, the green flag will wave over what is expected to be the youngest DAYTONA 500 field in NASCAR history. And today, NASCAR announced an update to the Sunoco Rookie of the Year points structure in all three national series, placing a brighter spotlight on some of those young stars. Beginning this season, the Sunoco Rookie of the Year point system will mirror the points structure that awards the season-long championship, including stage points and playoff points, with the eventual Sunoco Rookie of the Year earning the most points throughout the season. As is the case with the season-long points structure, a race win will earn a Sunoco Rookie 40 points and five playoff points. A second-place finish will earn a Sunoco Rookie 35 points; a third-place finish nets 34 points, and so on. A Sunoco Rookie who wins a stage will earn 10 points and one playoff point. 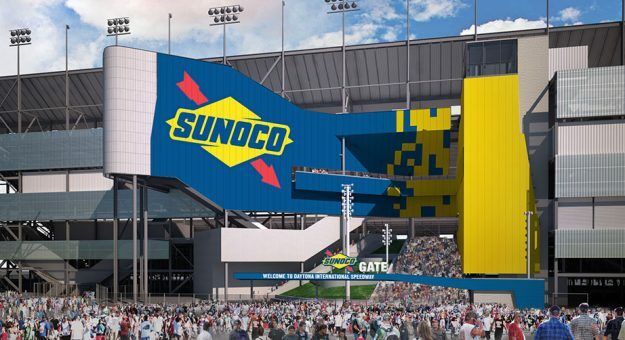 The new Sunoco Rookie of the Year guidelines will take effect in all three NASCAR national series – the Monster Energy NASCAR Cup Series, NASCAR Xfinity Series and NASCAR Camping World Truck Series.